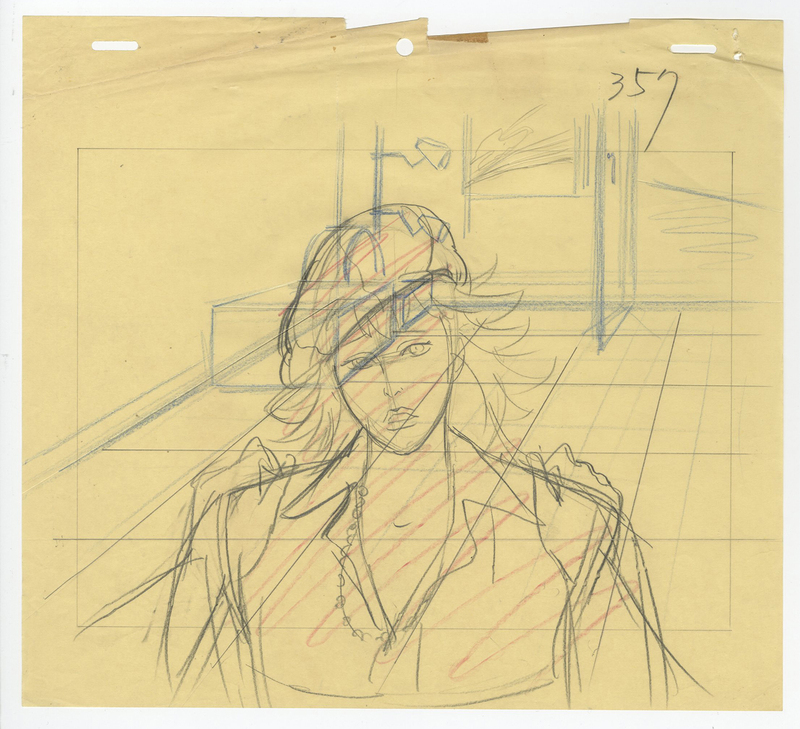 This is an original production cle and background featuring Jerrica that was used in the creation of an episode of the animated series, Jem. 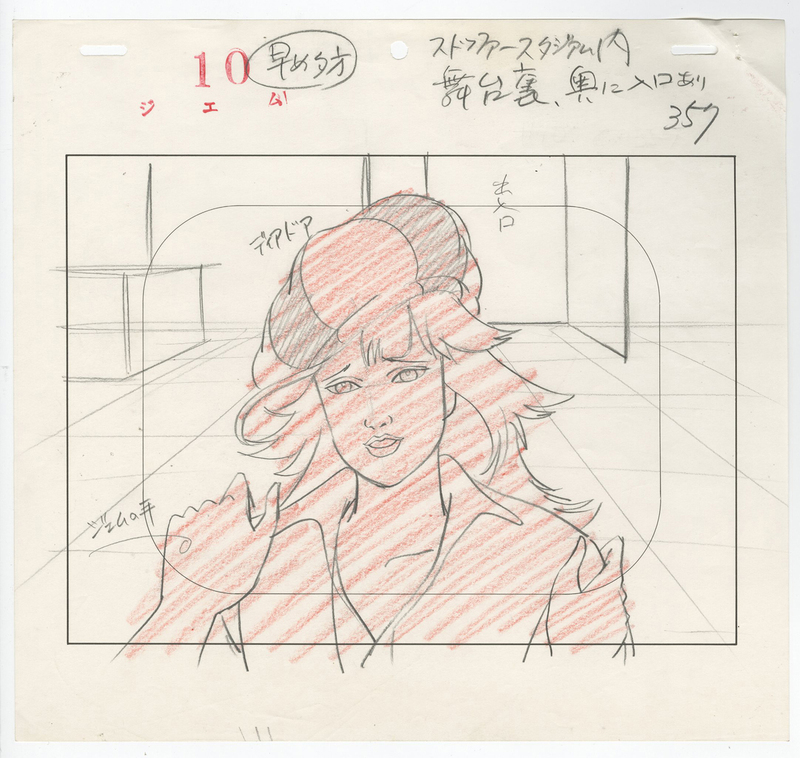 The background measures 10"x 14", the cels measure 9" x 10.5", and the character image measures 6.5" x 7.5". The els are attached to the background and each other from paint and staples along top edge. Includes matching layout drawing.